Two days before we left for Mexico City, Zach received an unexpected email. 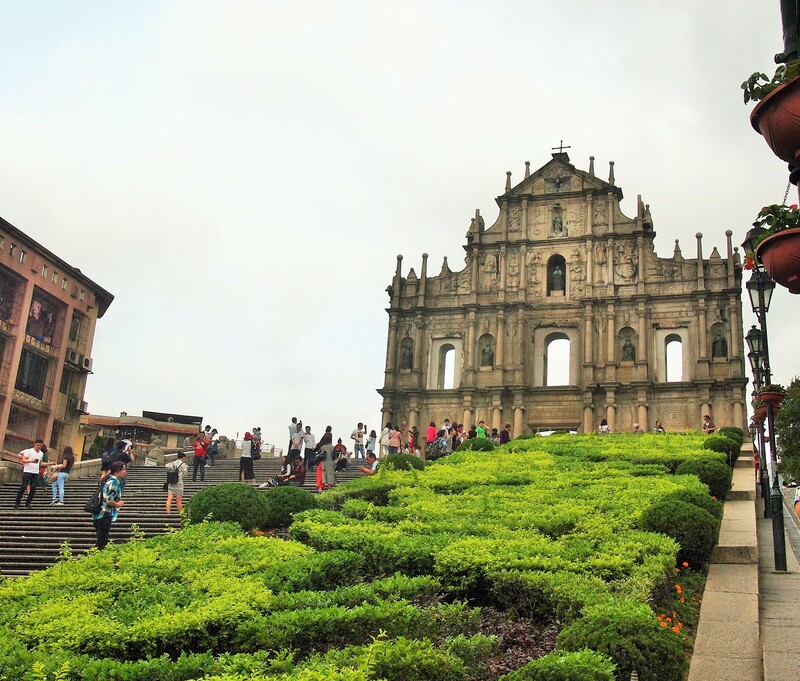 He had been invited to the final round of auditions for the Macau Orchestra. They would fly him out and put him up in a hotel for a week while he rehearsed with the orchestra and did the final audition. I was able to work out my schedule so that I could tag along. 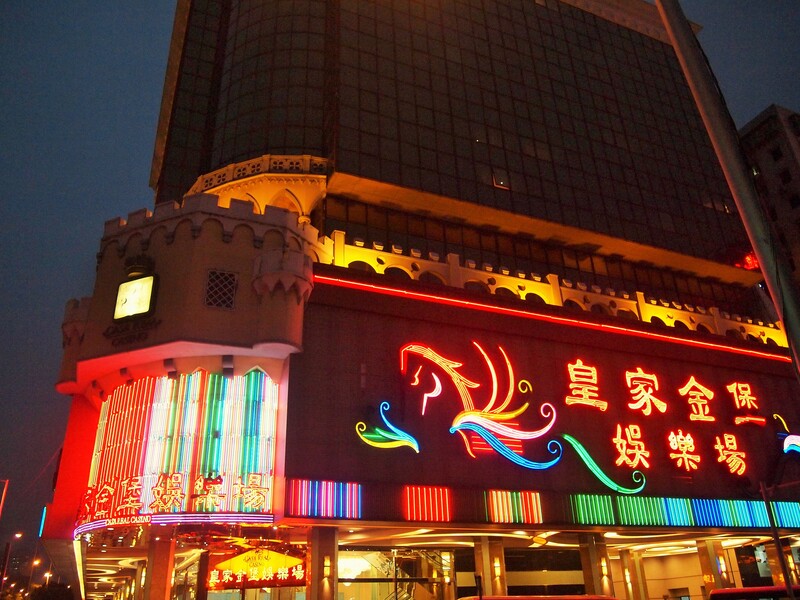 So, three weeks after we returned from Mexico, we left once again, this time bound for Macau. 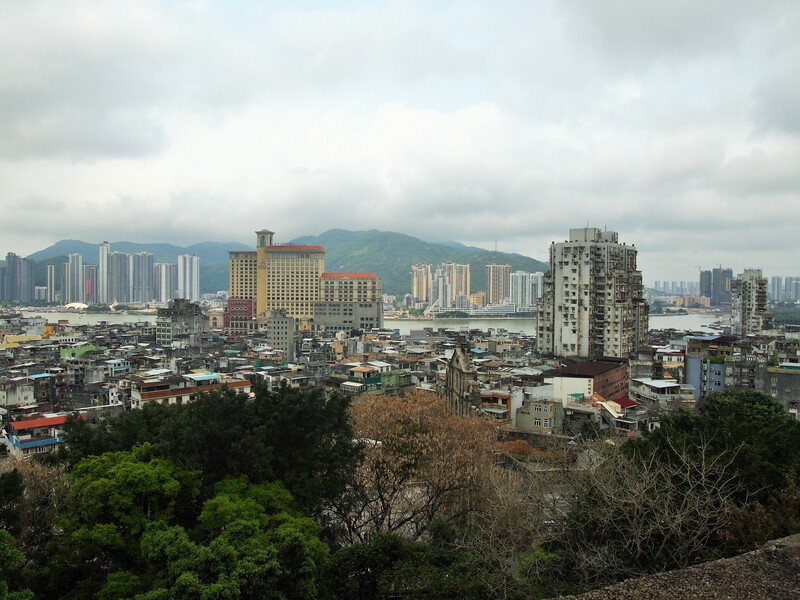 Located across the Pearl River Delta from Hong Kong, Macau (also spelled Macao) is the lesser-known of China’s two Special Administrative Regions (SAR) which means it operates with some degree of autonomy as part of China’s “One Country, Two Systems” policy. 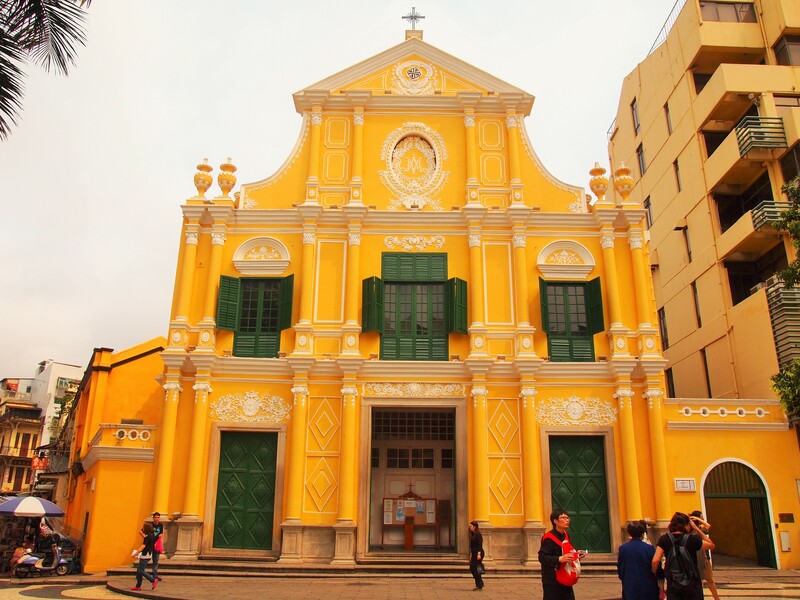 Because of its status as an SAR, Macau uses its own currency, the Macanese pataca; has two official languages, Cantonese and Portuguese; and doesn’t require a tourist visa (for less than 30 days) for US citizens. 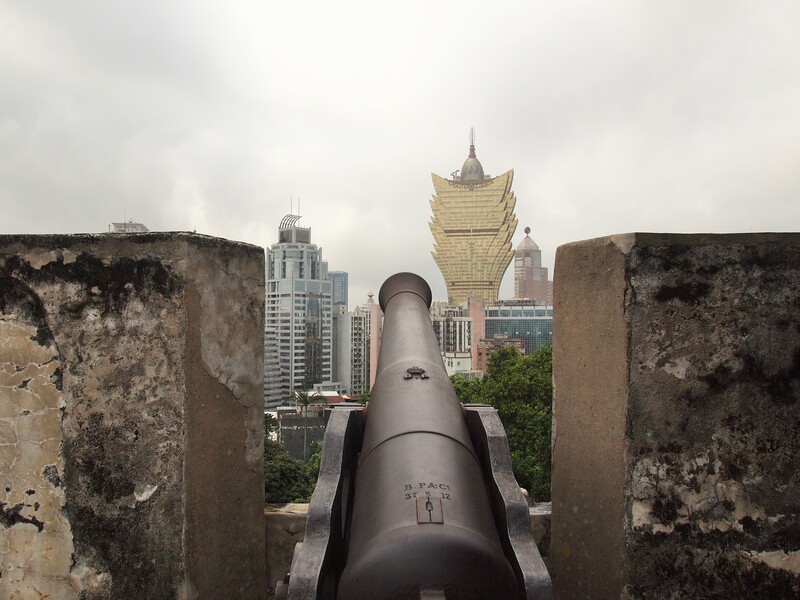 Macau was returned to China in 1999, ending 442 years of Portuguese control. 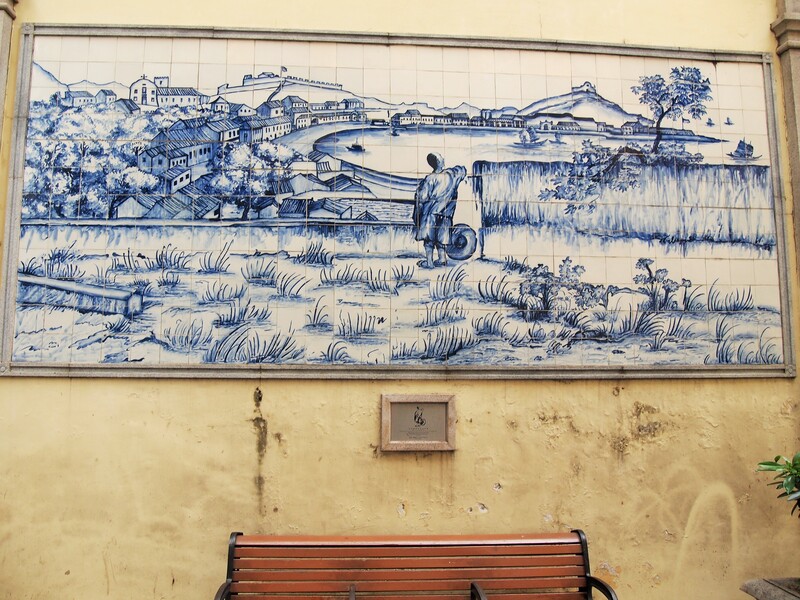 But the effects of Portuguese colonization are lasting. 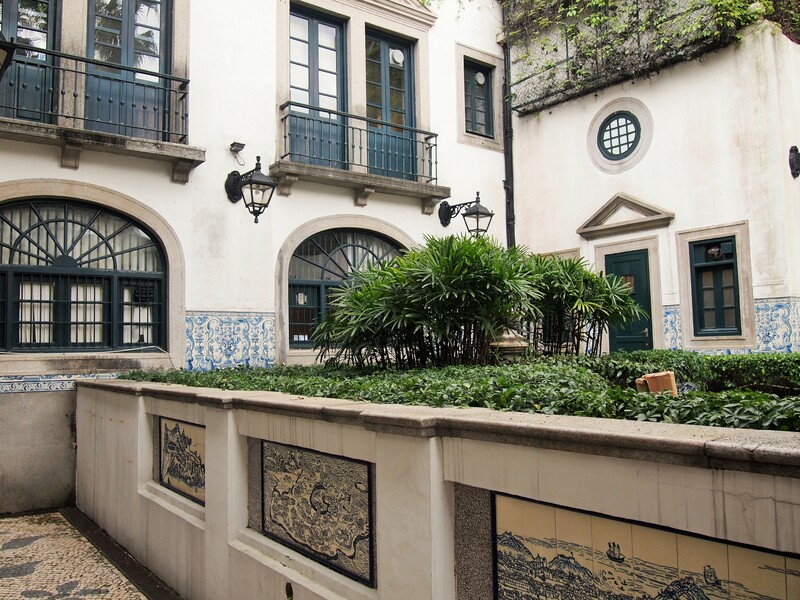 Portugal’s influence is evident everywhere you look in Macau from the colonial buildings and churches, cobbled sidewalks and squares, food crafted with ingredients from the Portuguese trade route, and even street names. 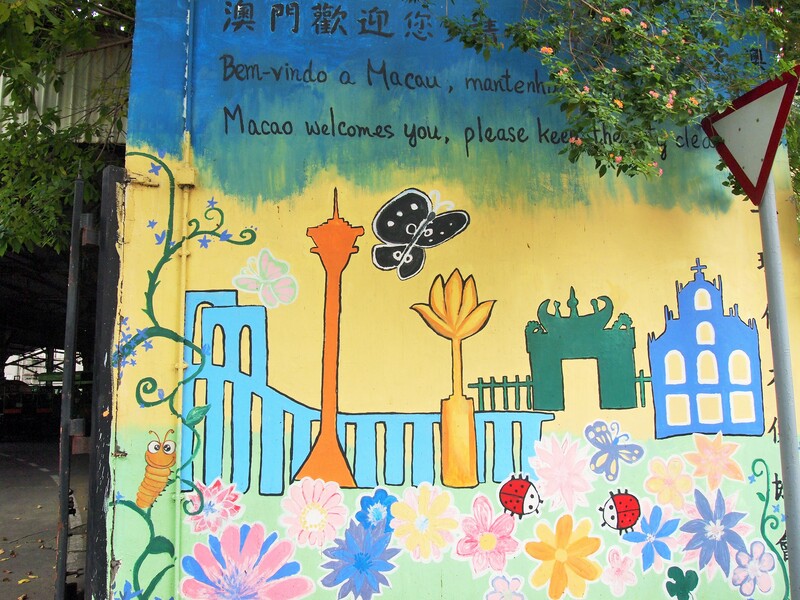 Most tourists visit Macau as a day trip from Hong Kong but to truly explore the region you need 4-5 days. (I had 5, Zach had 6.) 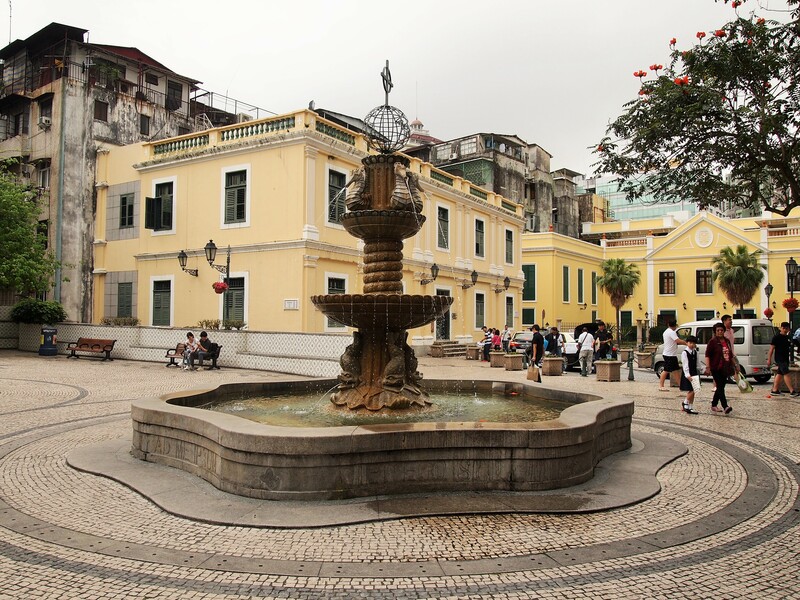 Macau is a peninsula connected to mainland China and two islands, Taipa and Coloane, which have recently been connected by Cotai, a strip of reclaimed land. I’ll focus on the peninsula first. 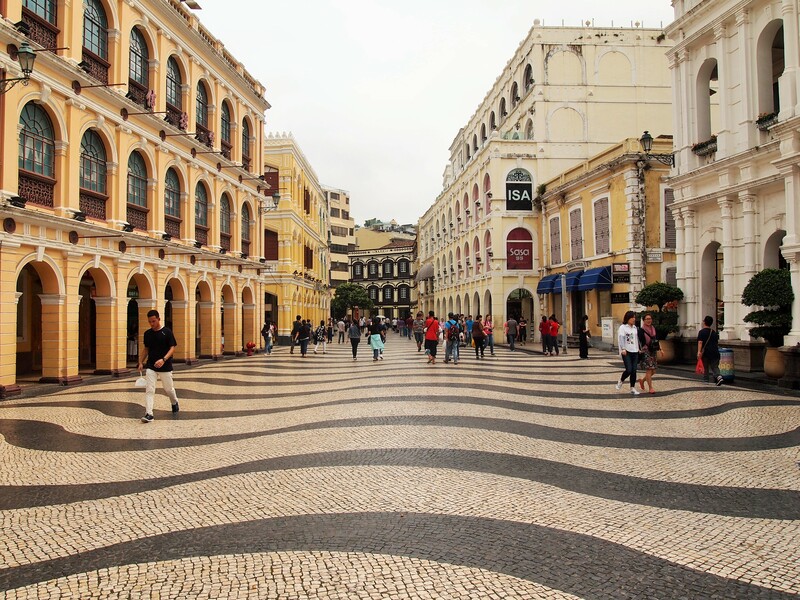 Macau is incredibly walkable. 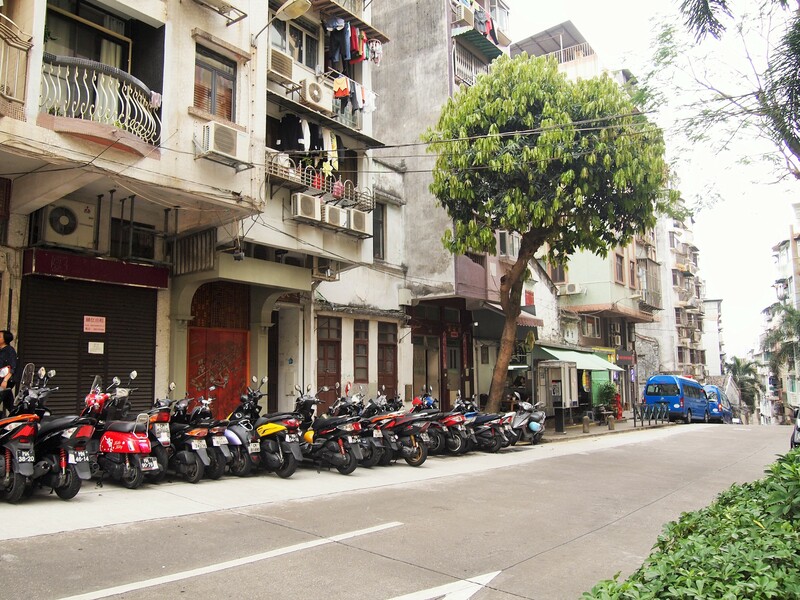 Our hotel, Casa Real Hotel, was located near the ferry terminal which made it incredibly convenient for our arrival and departure but a little bit out of the center. Typically, we caught a bus into the center and then walked everywhere else, although we could and did walk a couple of times to/from our hotel. 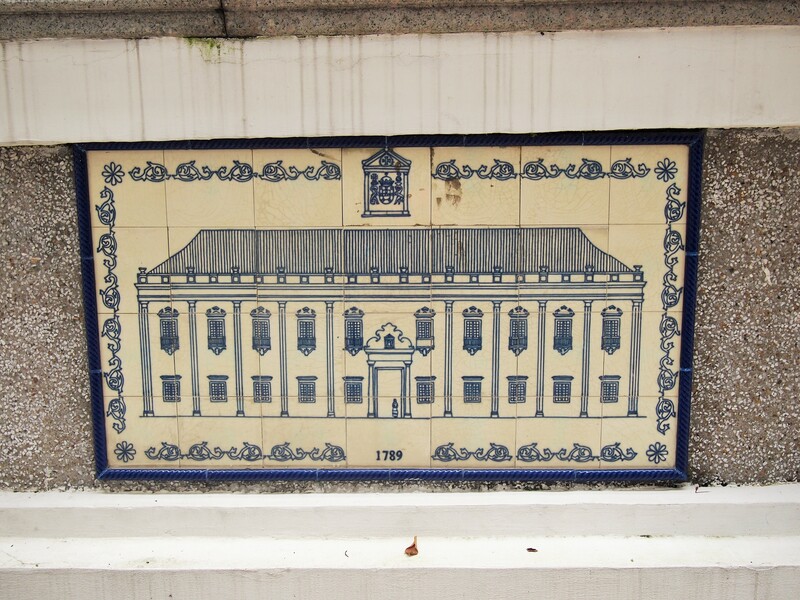 Macau’s entire center has been granted UNESCO world heritage status and there are markers everywhere which lead you to different sites and give information. So, although we had a slim guidebook, it was easier to follow the signs around instead. 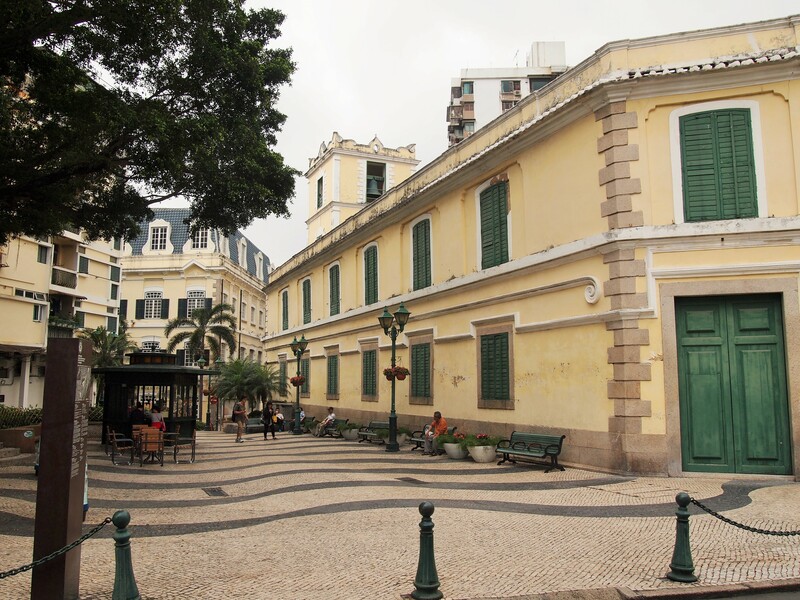 The center of it all is Largo de Senado, or Senate Square. 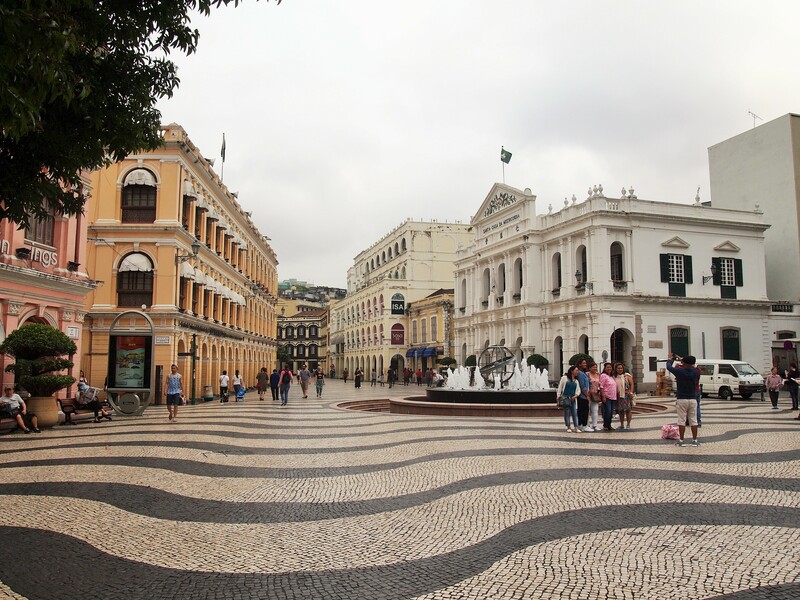 Framed on one end by the city hall, Leal Senado, the square is often filled with selfie-stick toting tourists and shoppers laden with bags. 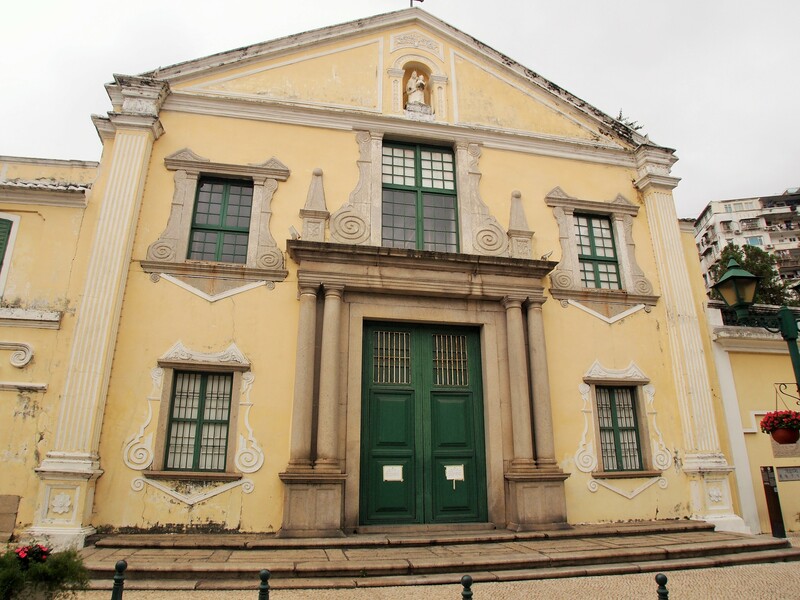 Cobbled waves lead strollers past neo-classical buildings painted in pastel colors toward São Domingos, a baroque church established in 1587 by three Spanish Dominican priests. 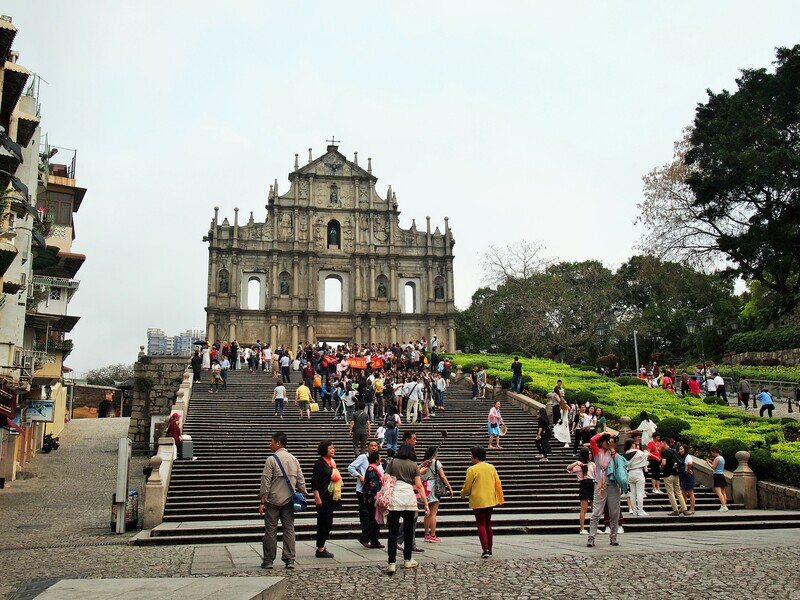 From there a maze of narrow streets leads visitors past storefronts for Korean skincare products; the Macanese institution, Pasteleria Koi Kei with Portuguese and Chinese style pastries and all kinds of jerky; and other souvenir shops to Macau’s most iconic site, Ruínas de São Paulo, or the Ruins of St. Paul’s. 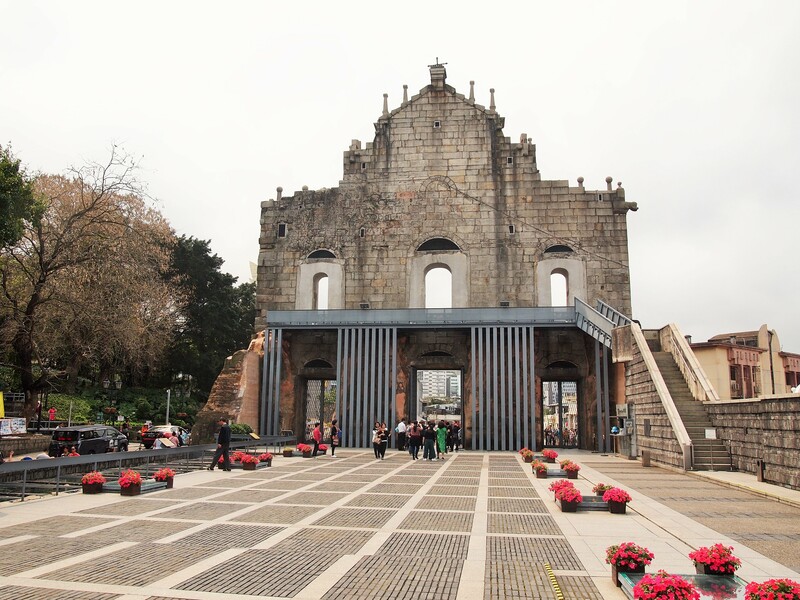 The facade is all that remains after a fire destroyed the church in 1835. 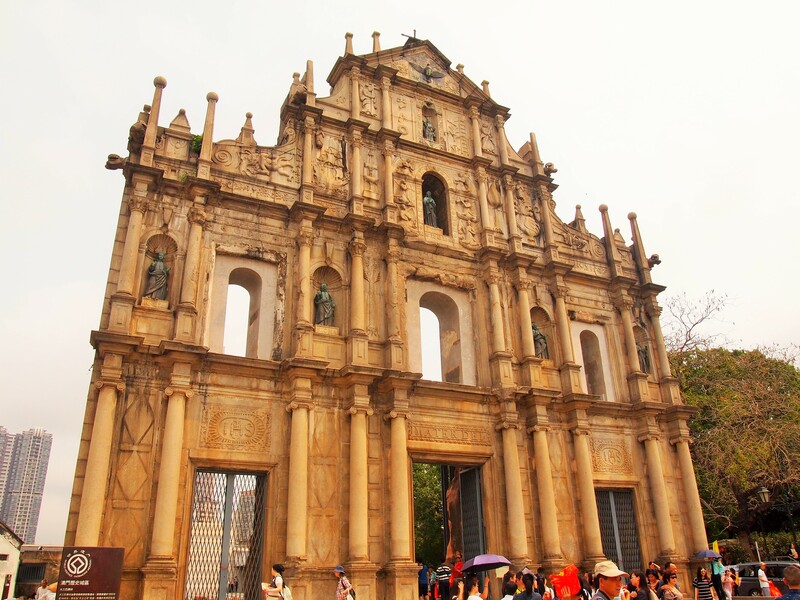 The ruins combine Eastern and Western design elements; there are statues of Jesuit saints and the Virgin Mary, Chinese lions, a Portuguese ship, and Biblical inscriptions in Chinese. 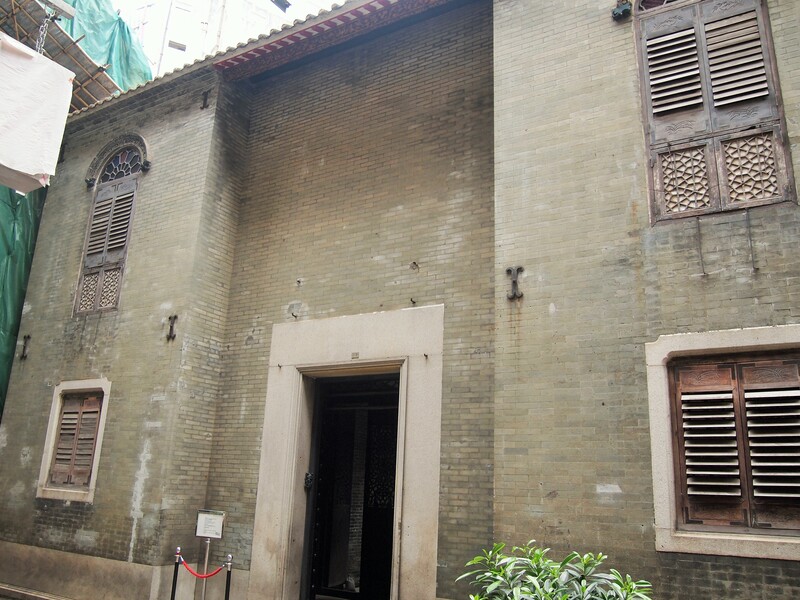 Behind the facade you can enter the crypt which is located where the altar of the church once stood. 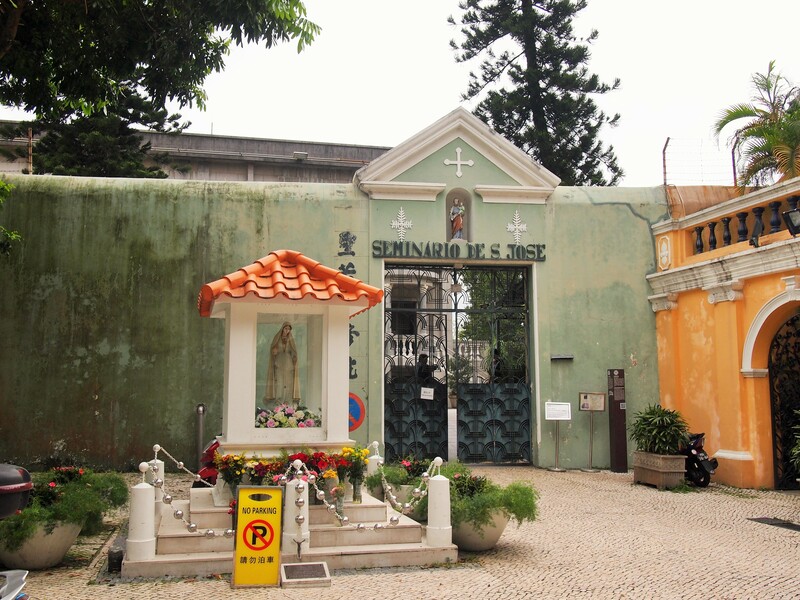 There is a tomb in the center of the crypt and remains of martyrs from Japan and Vietnam line the sides. 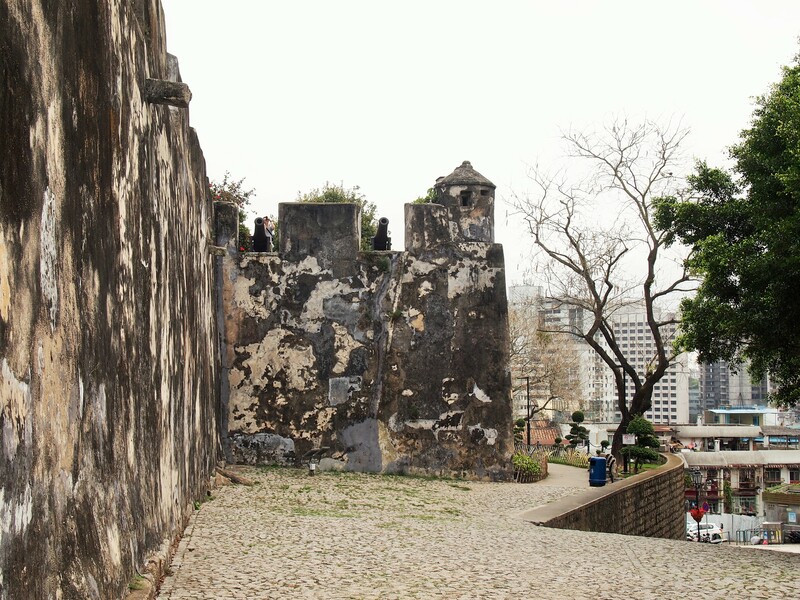 Above the ruins, Fortaleza do Monte, or Mount Fortress, stands guard over the peninsula. 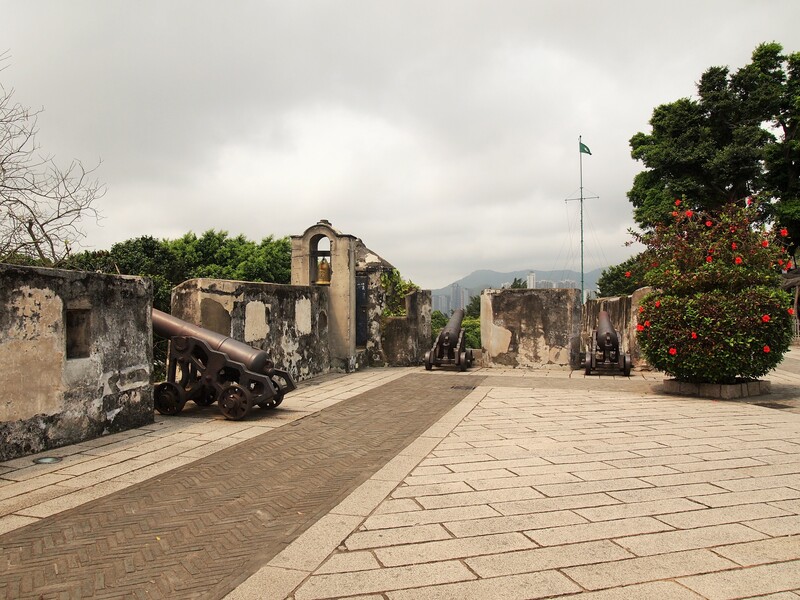 Built to defend the peninsula from sea attackers, the fortress saw action only once when the Dutch attempted to invade in 1622. 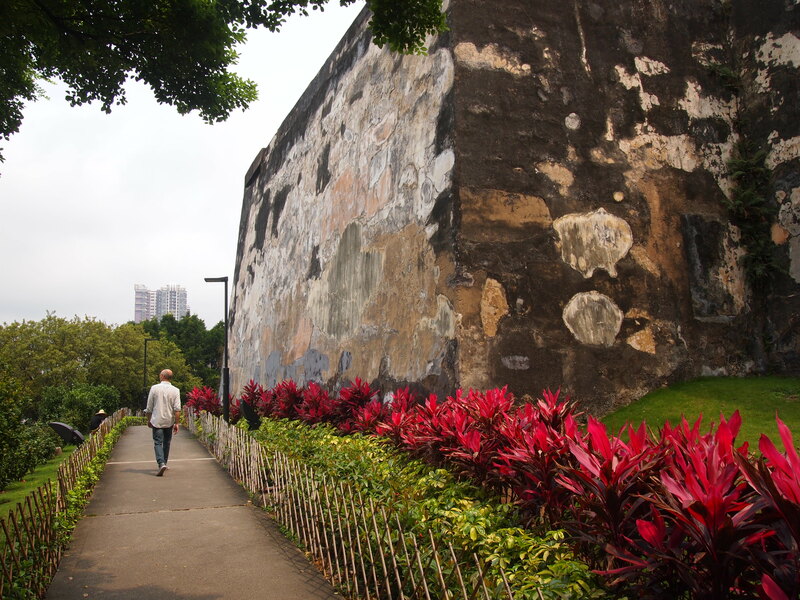 Today the fortress is a pleasant place for a stroll or exercise – we saw several people running around the walls – and is home to the Macau Museum. 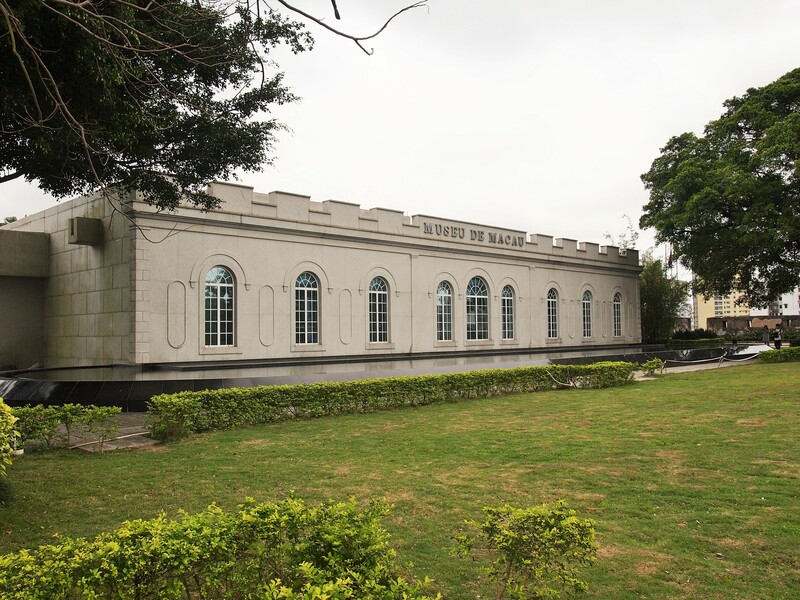 The day of our visit was particularly humid so the museum was a welcome air-conditioned relief. 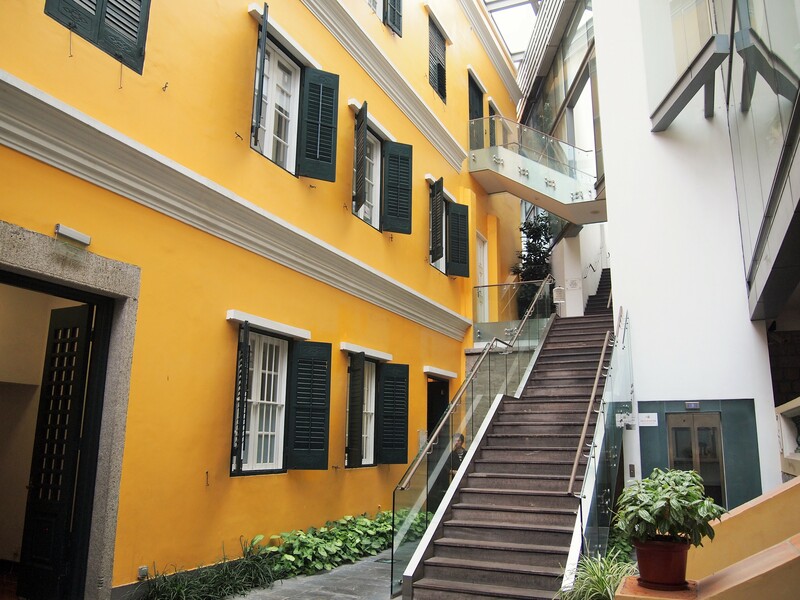 The museum is small but encompasses a great deal, beginning with brief introductions to Eastern and Western traditions and ideologies before exploring how the Chinese and Portuguese came together in Macau. 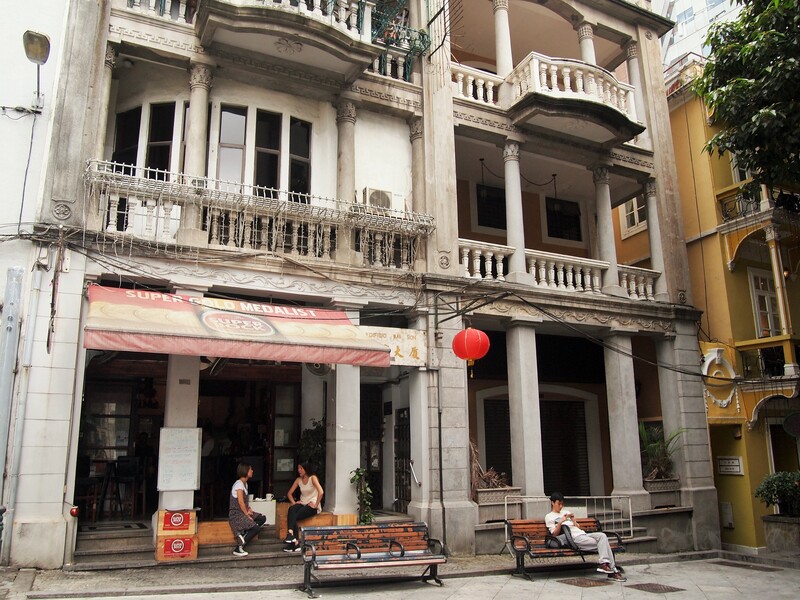 The first floor was devoted to the Portuguese arrival and their influence on Macau’s Chinese culture while the second floor focused on Macau’s Chinese traditions including a history of the peninsula’s most prominent industries – firecrackers and matches. 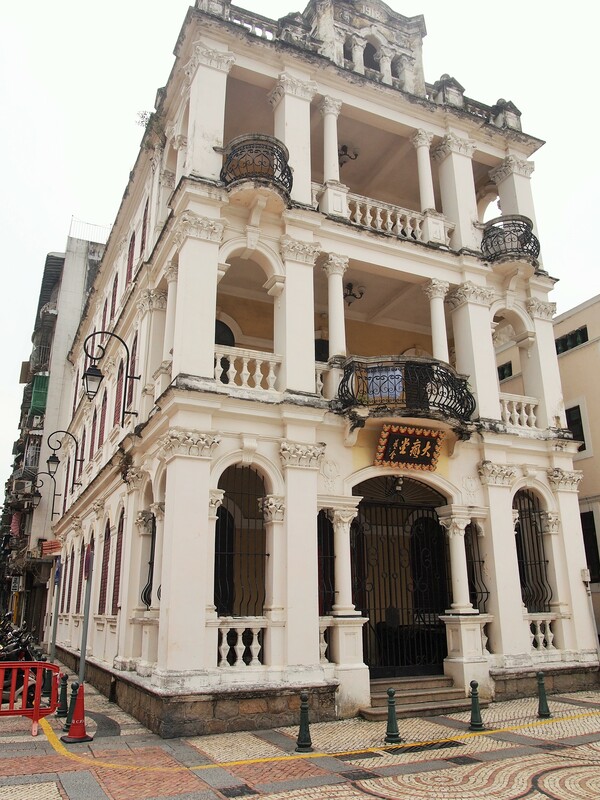 There was a full-scale replica of a Macanese street exhibiting traditional Chinese and Portuguese architecture as well as the blending of the two styles that occurred to create something truly original to Macau. 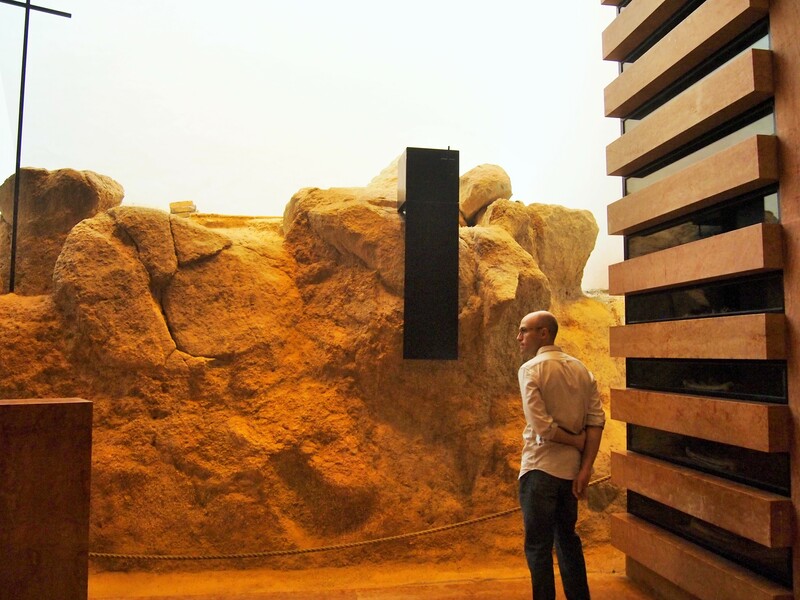 After our visit to the museum, Zach and I parted ways. He had a meeting with the principal trumpet of the orchestra and planned on sitting in on the orchestra’s afternoon rehearsal. I decided to keep exploring. 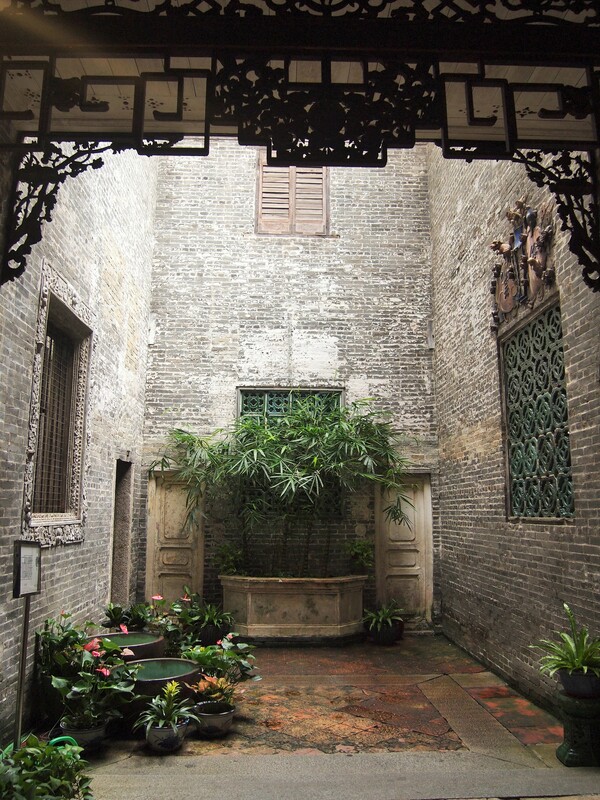 I ended up at the Lou Kau Mansion. 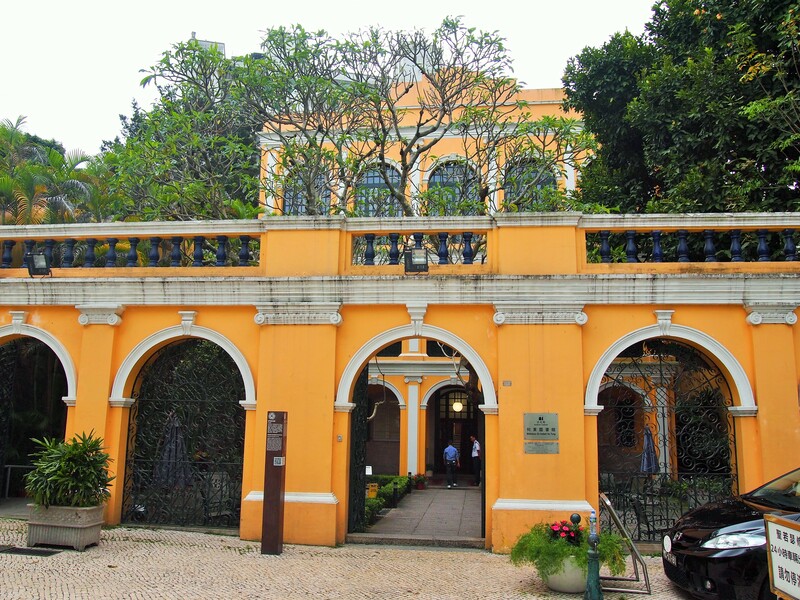 The mansion, built around 1889, belonged to Lou Kau, a businessman of high-standing in Macau. 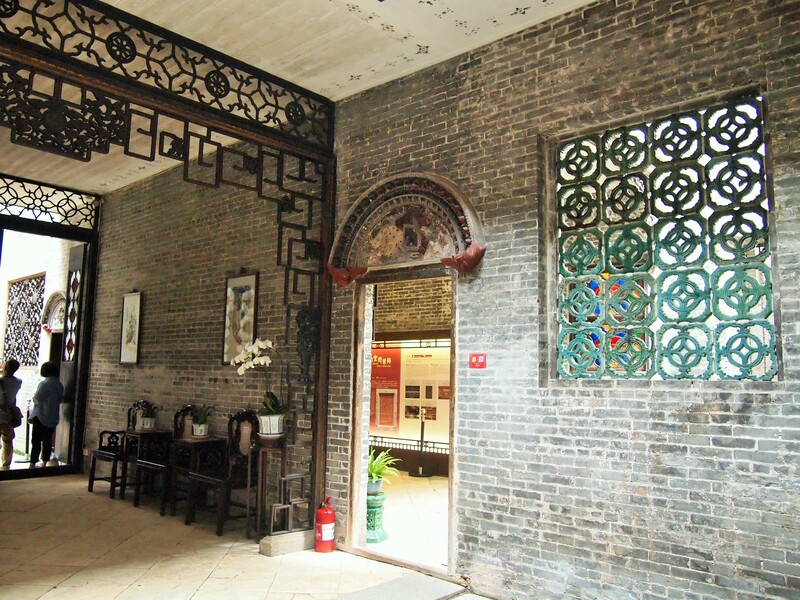 The mansion is an example of a traditional Chinese structure accented by Western features. 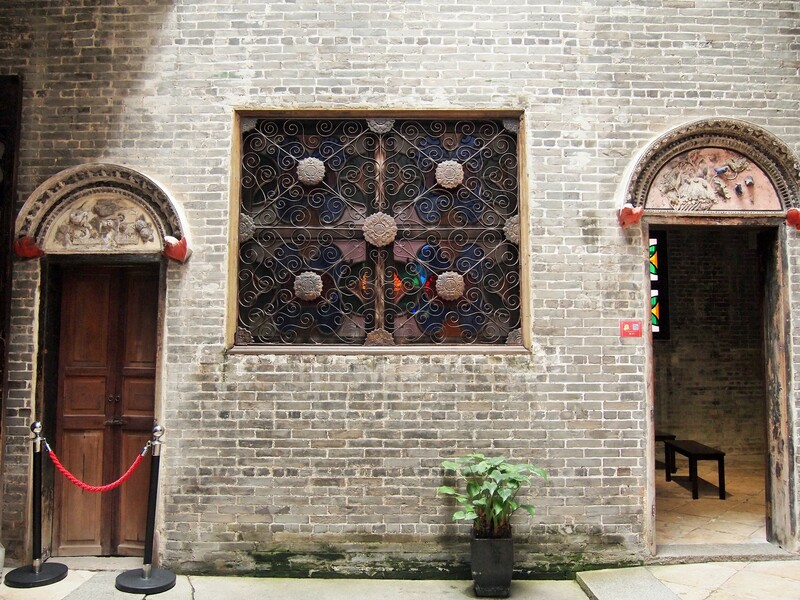 Though it appears rather plain from the street, once inside, the mansion is adorned with decorative plasterwork, carved screens, and stained glass. 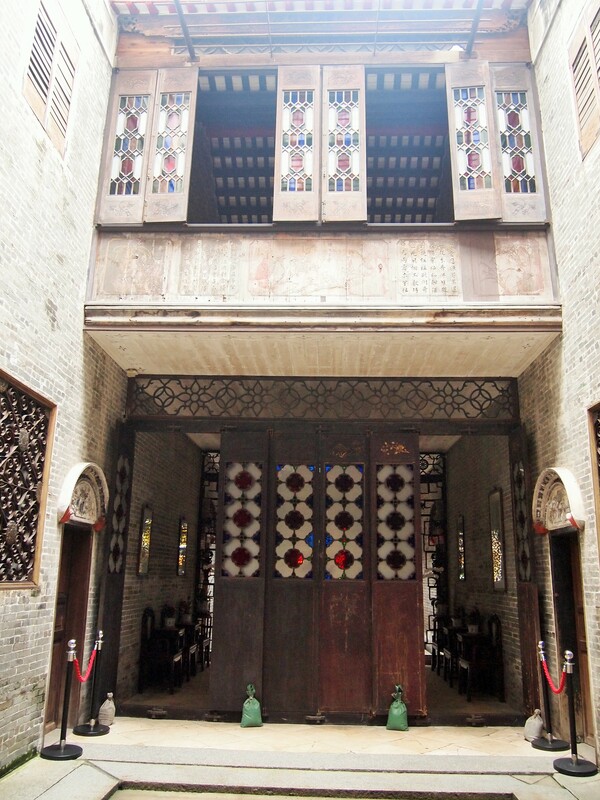 The interior is a mixture of rooms and courtyards and has been beautifully restored. 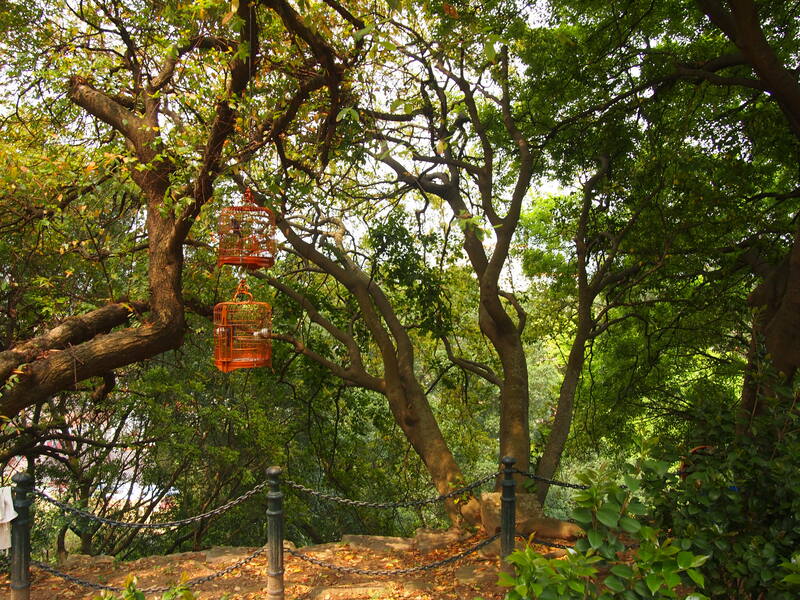 There were hardly any other tourists when I visited so it felt even more like a hidden gem. Just up the street from the mansion was the Sé Cathedral. 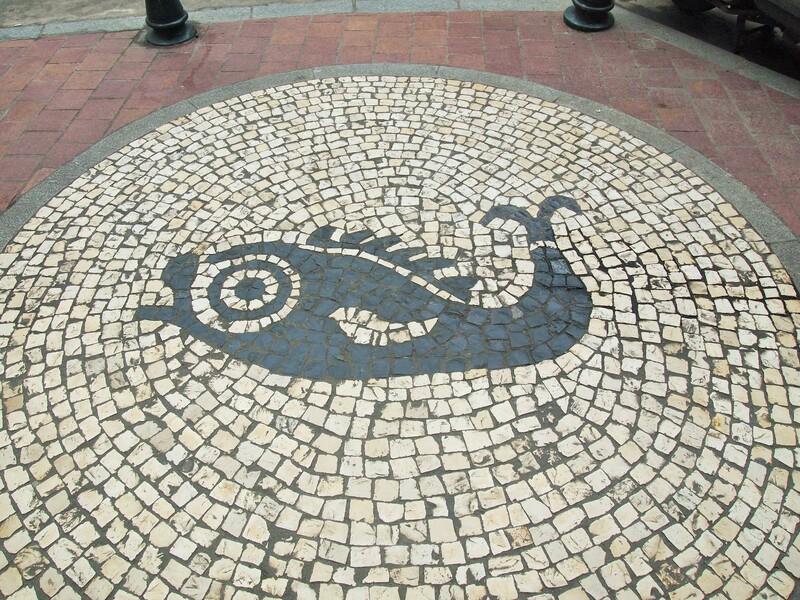 It has gone through a few recreations since it was first constructed in 1622, most recently in 1937. 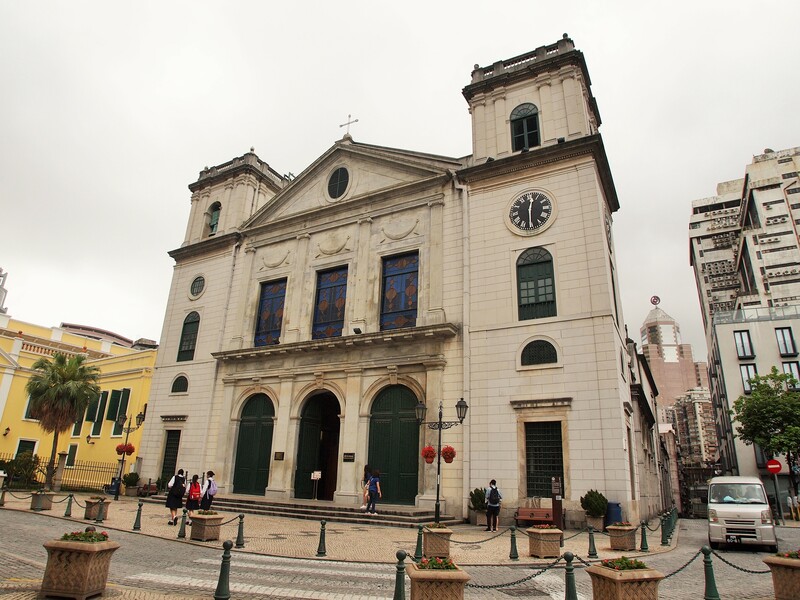 The Cathedral was an important fixture in Macau’s colonial days as the site of the public ceremony for new governors. 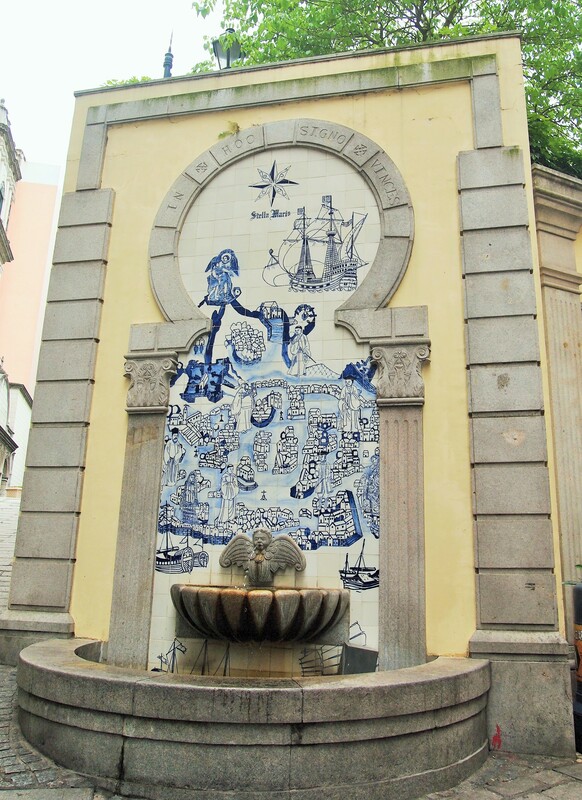 I had lunch nearby at Cathedral Cafe – a Super Bock with bbq pork and rice – and then circled back down to the Largo de Senado to continue my journey. 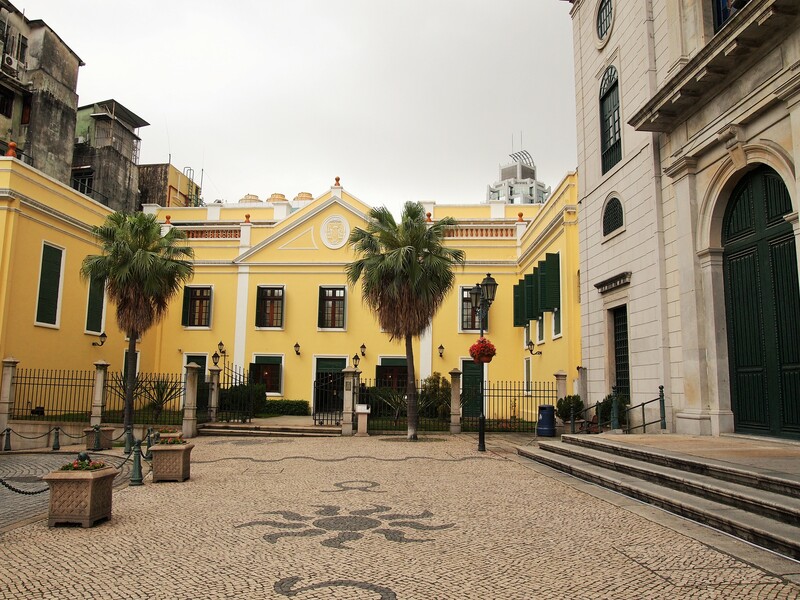 After my lunch, I decided to check out the Leal Senado, Macau’s City Hall, which literally translates to Loyal Senate. 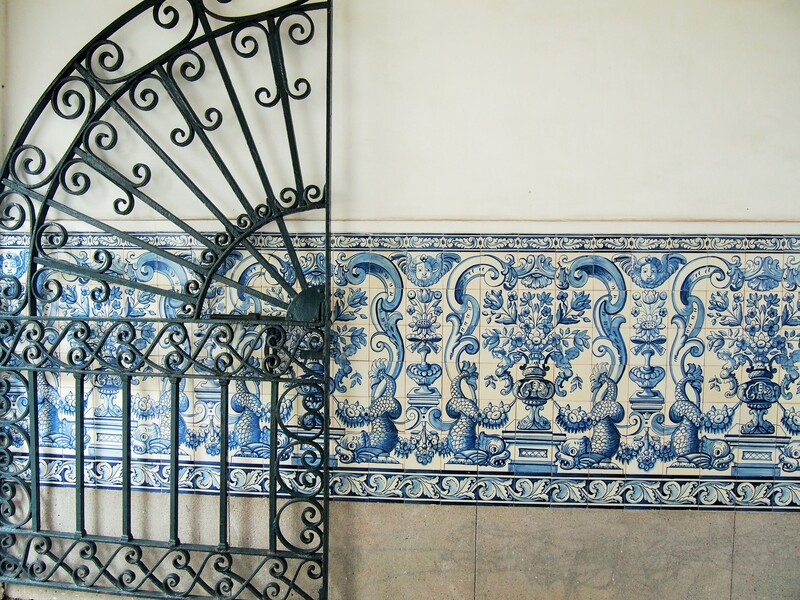 The building was constructed in 1784 and is utterly Portuguese in style. 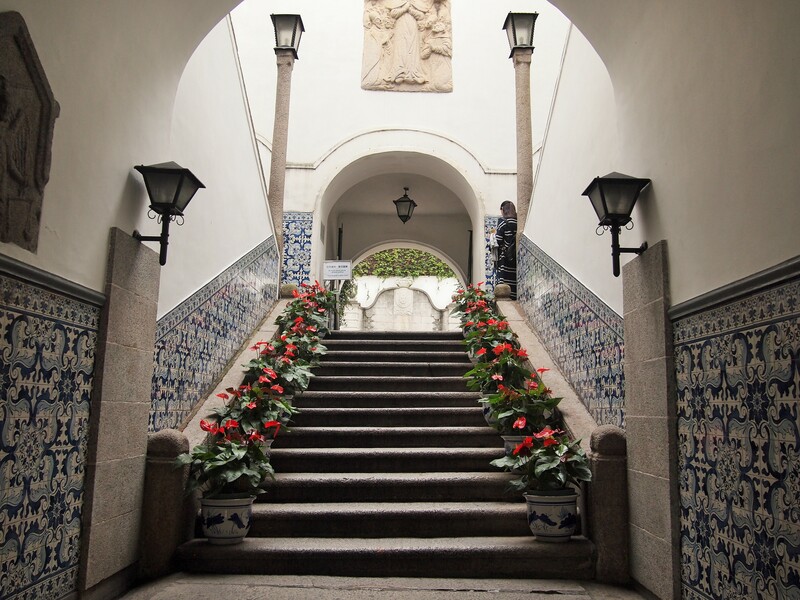 Inside the front lobby and main staircase the walls are lined with azulejos – my favorite design feature in Portugal – and the courtyard garden has azulejos depicting the Leal Senado over the years. 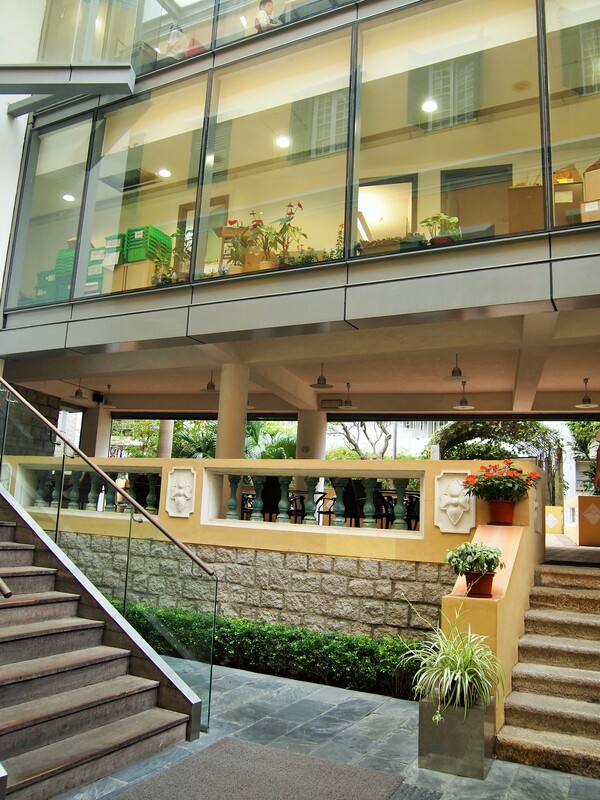 On the first floor is a library which opened in 1929. 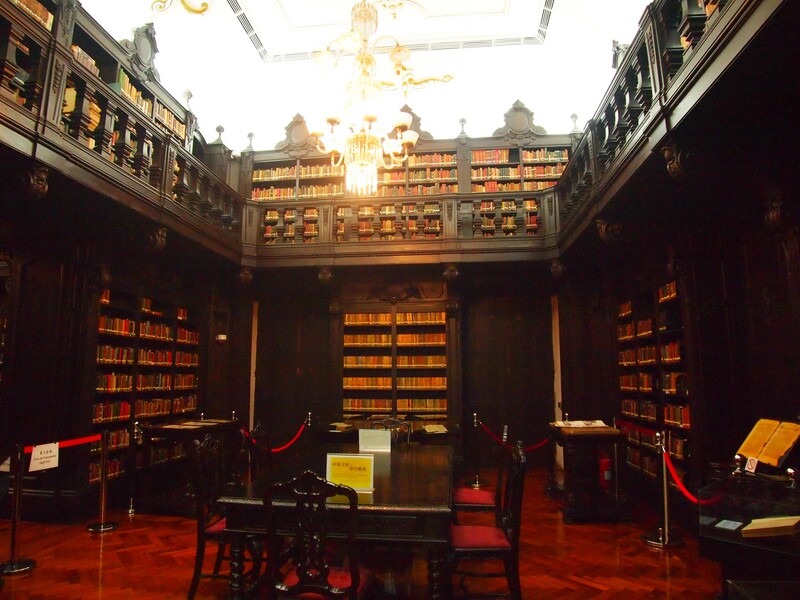 It was modeled after the famous convent library in Mafra, Portugal. 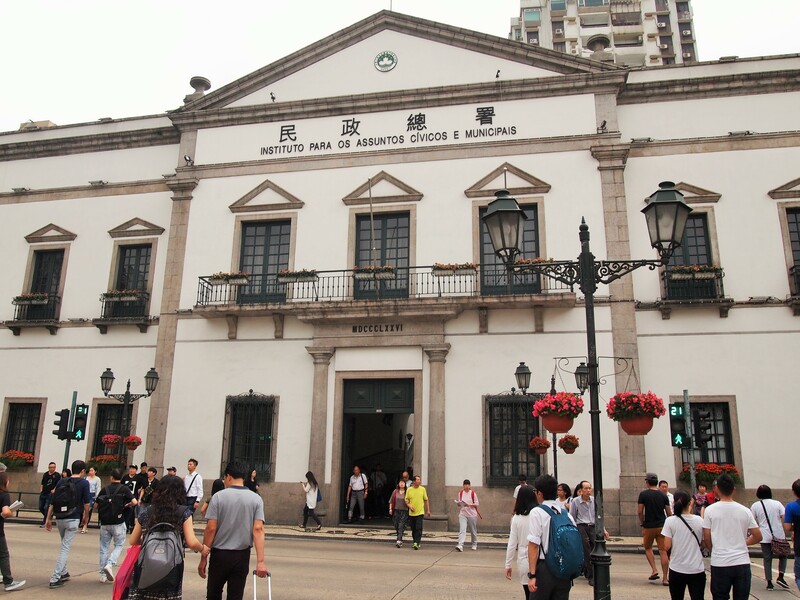 It’s gorgeous and holds several important and rare books from Macau’s history including city newspapers like Abelha da China (China Bee) and other important documents donated by city residents. 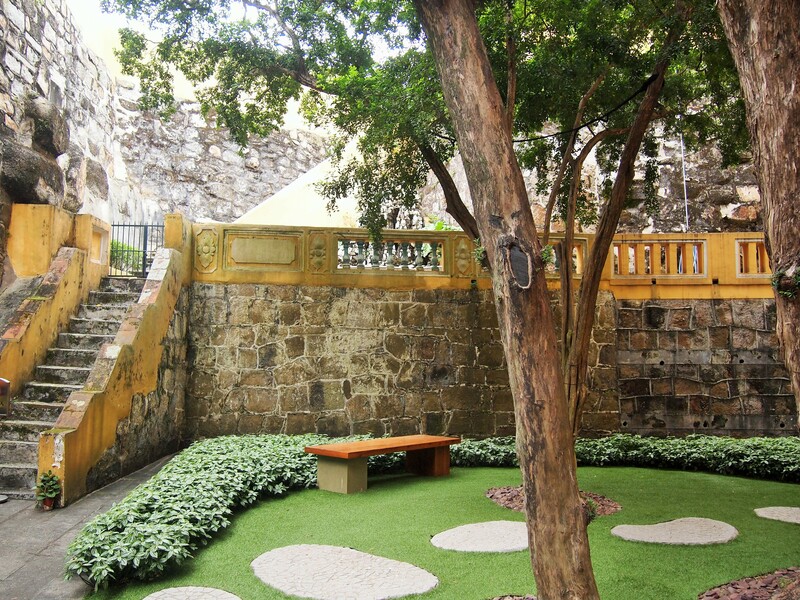 I left St. Augustine’s Square to walk back downhill to the Largo de Senado. 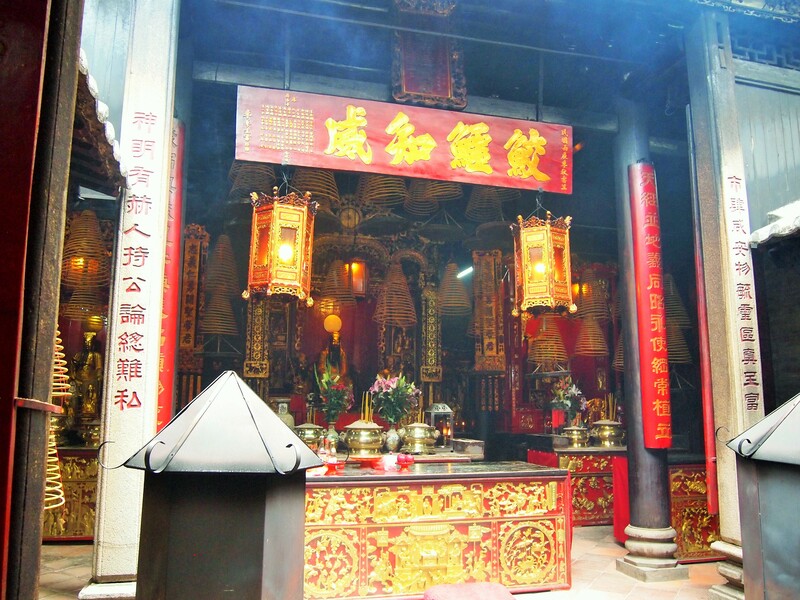 I decided to make one more stop just off the square before heading back to the hotel to rest – Kuan Tai Temple or Sam Kai Vui Kun. 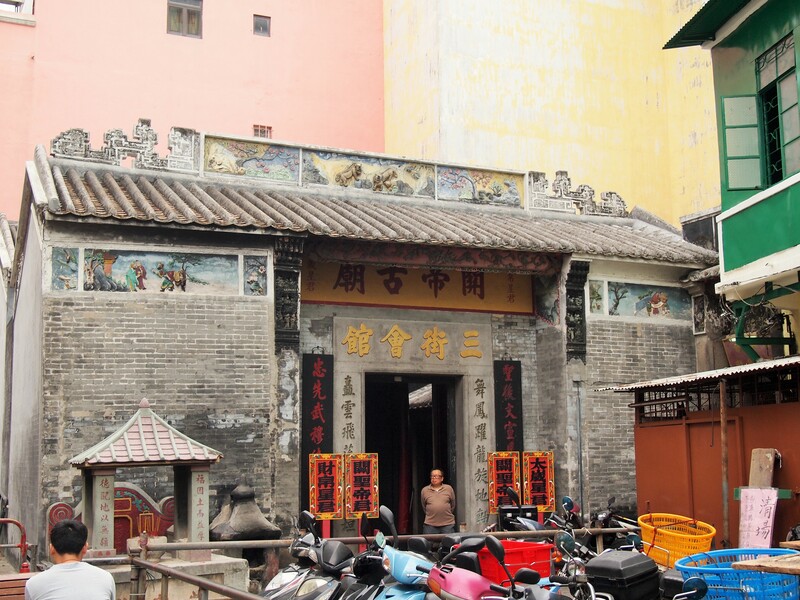 Nestled in the heart of the historic center, the appearance of Kuan Tai Temple contrasts quite sharply with the Western-style buildings around it. 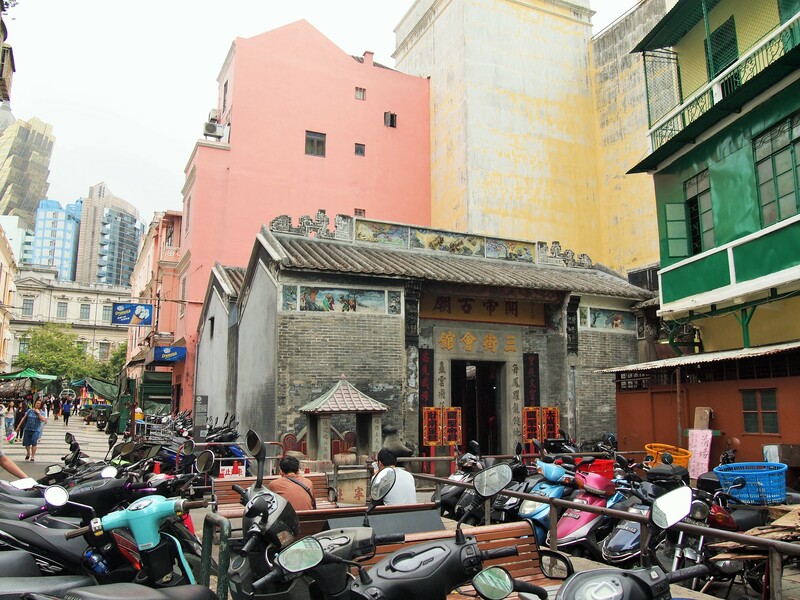 Originally used as a meeting place for the area’s Chinese businessmen, the Chinese name – Sam Kai Vui Kun – means “three-streets-meeting-quarter” which references three of the surrounding streets where the Chinese bazaar used to be held. 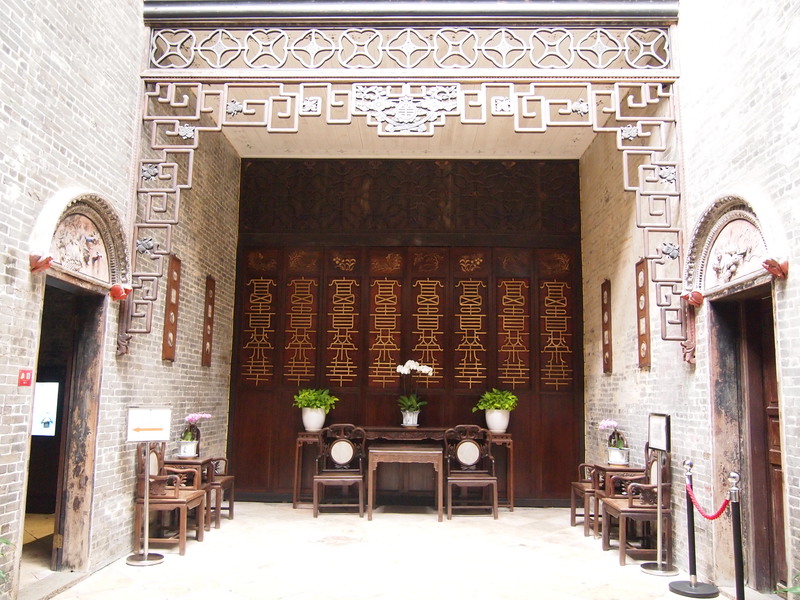 In the early 20th century, after the Chinese Chamber of Commerce was established, the building became a temple to the deity of loyalty, Kuan Tai.